<firstimage=”//static.makeuseof.com/wp-content/uploads/2011/03/intro9.jpg”> Here at MakeUseOf, we strive to bring you the very best tutorials, guides, reviews and articles to make your daily tech life that little bit easier. We’re not alone (of course!) and occasionally it’s only right to highlight some of our own favourite resources elsewhere on the web. Ubuntu has grown in popularity immensely over the last few years – and for good reason. The operating system is accessible (both in a software and hardware sense), compatible with a lot of software and won’t cost you a penny. 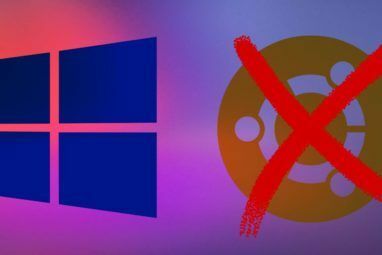 If you’re looking to expand your Ubuntu knowledge, have a burning question about some missing feature or are a newcomer to the world of Linux then these 5 sites are a great source of information. My personal favourite source for Ubuntu-related news and developments, interspersed with timely how-to posts and tutorials. Due to the beautifully designed site layout, you’ll be forgiven for spending a while stumbling from article to article, and learning plenty in the process. As well as instructional pieces, there’s plenty of news about upcoming software, updates and unreleased versions to gawp at, as well as editorial pieces, interviews and software reviews. OMG! Ubuntu! is updated with a good cluster of posts each day, and should be your one-stop website for unofficial Ubuntu news, tips and speculation. A repository (mind the pun) of tutorials and instructionals, purely aimed at the Ubuntu Linux distribution makes this a cracking resource for users old and new. Whilst the site itself could use a bit of a redesign, the information is what really matters – and handy information it is too! Tutorials are split up into 9 different categories, ranging from backup The Best Free Backup Software for Your PC The Best Free Backup Software for Your PC Read More and networking techniques to security and package management information. The site is especially useful for newbies as there are a number of tutorials aimed at the very basics. When journalism and official documentation fails “ubuntu tips and tricks” why not ask the community 3 Forum Search Engines to Search 40.000+ Message Boards 3 Forum Search Engines to Search 40.000+ Message Boards Read More ? The official Ubuntu forums play host to a message board dedicated entirely to tips and tutorials. Being a message board, it’s updated far more often than any news or tutorial site. Outdated tutorials for older versions of Ubuntu are kept separate from how-to posts which are applicable for the current version. The best thing about the forum format is the ability to address the poster directly and ask questions if you don’t understand or get stuck. Registration is of course free, though you won’t need to register if you simply want to browse. Much like Ubuntu Geek, UbuntuGuide.net is a fairly exhaustive collection of tutorials on anything and everything Ubuntu-related. From installing Ubuntu onto a Macbook Air to the many uses for the Windows “Super” key in Ubuntu, it’s a resource for users old and new. There’s a whole section dedicated to Compiz, the current Ubuntu compositing & window manager. 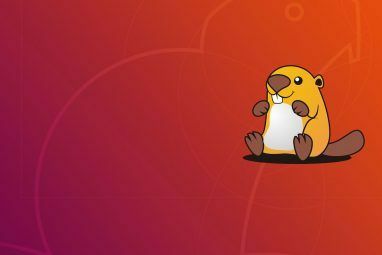 If you’re looking to beautify your desktop 5 Tools and Tips for a Sexier Ubuntu Interface 5 Tools and Tips for a Sexier Ubuntu Interface Read More or resolve sluggish video issues then the Compiz category is a good place to start. There are regular updates, with a new tutorial published pretty much every day. UNIX Men, whilst not specifically dedicated to Ubuntu, is a general Linux news and tutorial resource with plenty to offer. The website caters for a whole variety of users and distributions 13 Lightweight Linux Distributions to Give Your Old PC a New Lease of Life 13 Lightweight Linux Distributions to Give Your Old PC a New Lease of Life These flavors of Linux are light on CPU and RAM, meaninig they run great on older and weaker devices! Read More , but hovering your mouse over the Linux Tutorials button will reveal a section dedicated just to Ubuntu. There is also decent coverage of the world of Linux software and gaming, though beware there’s a chance you’ll need to compile some downloads from source. Have you got a burning question? You’ve looked all over the web and are wondering if there’s anybody out there who can help? Our very own Answers section was designed with your predicament in mind. Simply click Ask A Question, fill in the details and both the MakeUseOf team and community will attempt to answer your dilemma. You can always return the favour by helping someone else out! 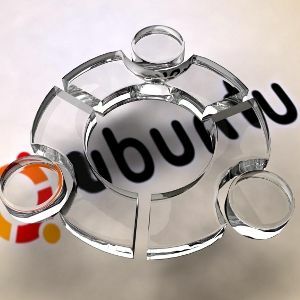 There are plenty of resources here to answer a variety of questions related to the Ubuntu operating system. Once the upcoming Ubuntu 11.04 lands there is bound to be another surge of documentation and tutorials, as everyone gets up to speed with the changes. With the aid of these few sites, you should be covered for a good few releases yet! Do you use Ubuntu? Any favourite Ubuntu tweaks, tips and tricks? Trying to find out how to do something? Let us know in the comments below. Thank you for your list, Egis! Looks to me like WebUpd8 is the clear winner. I look at it every day. Here are a few more handy websites. Thanks! I was looking for something to replace OMG!Ubuntu as I'm tired of the petty bickering that seems to consume that site. Days have passed and even 90% of the comments are aggressively asking for WebUpd nothing happens. First of all, the article is awfully documented. I think WebUpd is the second most read ubuntu blog ( following OMG Ubuntu ). Obviously, the author has nothing to do with Linux community and maybe Linux in general. Also, nobody seems to read the comments we're posting, which in this case were a serious feedback action. These words keep coming in my mind: Lack of professionalism. http://www.ubuntuvibes.com/ is also a good site. webupd8.org beats all of the mentioned above. I find it VERY suspicious the fact that it wasn't included in the list. Shame on you. Yeah, why isn't Webupd8 featured in this post?, you've really dropped the ball here. Webupd8 is better than the sites you've listed by far. I think you should do a feature on http://www.webupd8.org/ and give the site the recognition it deserves. What about WebUpd8? Poor article. Yeah webupd8 is definitely missing from here. To the extent of my knowledge it's only one badass dude doing all of the updates and he stills posts several times a day. Webupd8 is one of the best Linux/Ubuntu sites. yep nice post. I like ubuntuvibes.com and ask ubuntu too. Is there any button "Dislike" in this blog? This post deserves it! Where is Webupd8 ? This post won't be complete without webupd8 for sure. I like webupd8 better than anything else in this article! A warning message to all of the people that read the articles on ubuntugeek.com and jump straight into using many of the ppa repositories they frequently mention. 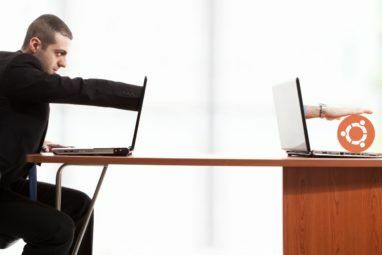 Installing a ppa and using it is akin to giving a key to your installation away. If you trust the people with the key, then no harm done. However, you never know what is going to happen and if one of the sites is run by someone with malicious ideas, then you very well might find that your security is totally gone and who knows what can go wrong with the computer after that happens. It all boils down to the fact that by using software from questionable sources is dangerous because to install it, you give root (full) access to the install scripts. This is necessary because otherwise they cannot write into the system area. That's why you have to use sudo apt-get install foo, for example. A better way to test software that is not in the default repositories is to install them into your home directory, but to do that you frequently have to compile the software yourself, which is not a difficult process, but it's not as simple as using the software center. Where's WebUpd8? OMG Ubuntu and WebUpd8 are a must-read for any Linux fan. Can't belive the second one's not here. WebUpd8 is great but OMG!Ubuntu! has turned into a waste of time. Too many articles about stuff that doesn't matter and too much trolling by the readers. I kinda agree.. Lately, there's nothing interesting through OMG Ubuntu comments. Actually, 95% of that huge amount of comments are strongly disagreeing about the article's subject or just foolin' around. yup, webupd8 is pretty good! This is an excelent resource of all things Ubuntu and has one of the best PPAs out there. Check it out.